The Tipperary North County Enterprise Board is working with County and City Enterprise Boards in Limerick City, Limerick County, Kerry and Clare to host Mid West Business Month this October. The initiative is designed to offer entrepreneurs the opportunity to participate in a wide range of events in the Mid West with each County designated a particular week. The five County and City Enterprise Boards will host their own series of events during the month and in North Tipperary the workshops and seminars will take place from Monday 3rd to Friday 7th October. A ‘Dignity in the Workplace’ Seminar will take place in the Racket Hall Hotel, Roscrea on Monday 3rd October from 5.30pm to 8.30pm. The seminar will be delivered by Joseph Shannon, BL. The Code of Practice on Sexual Harassment and Harassment at Work which has legal effect provides that all employees should be made aware of the dignity in the workplace policy. This seminar which will cover a number of key areas such as: Definition of Workplace Bullying, Harassment, Sexual Harassment, Rights, Duties, Obligations of Employees, Complaint Procedures and Disciplinary & Grievance Procedures. Employers should note that it is not sufficient to just have a staff handbook. Training on harassment and sexual harassment must be given to staff by law and a company is at risk of legal action if this has not been provided should cases of harassment and sexual harassment come to light. A booking fee of €10 will apply. A Stress Management Workshop will be delivered by Gearoid Harty, GPH Consulting on Tuesday 4th October in the Abbey Court Hotel, Nenagh, from 9.30am to 5.00pm. This one day workshop aims to provide participants with practical tools to manage their own time and work/life balance. This workshop will be of particular interest to owner-managers who find that one of their greatest challenges is managing themselves. A registration fee of €30 applies. On Wednesday morning 5th October in the Food Enterprise Centre in Rearcross, Peter Madden will deliver a workshop titled “Evaluating Opportunities in the Food Sector”. This half day workshop (9.30am to 2.00pm) is an introductory programme for those considering running a food business. The areas to be covered include: Food Ideas v’s Opportunities, Marketing, Artisan Food – the way forward, Selling through Farmers Markets, An Introduction to Marketing & Business Plan, the Selling Process and Planning to start your Food Business. Booking fee €20.00. Mr. Bobby Kerr, Entrepreneur and Businessman who presents a Sunday breakfast business show on Newstalk and is a “Dragon” on “Dragon’s Den will deliver a Business Management Seminar on Thursday October 6th from 7.30pm to 9.00pm in the Horse & Jockey Conference Centre Thurles. This event is being organised by the Tipperary North County Enterprise Board in association with Thurles Chamber and there is no attendance charge but prior booking is essential. On Friday 7th October a “Social Media Marketing” workshop will be delivered by Evan Mangan, The Marketing Crowd in AMT Training Room, Stafford Street, Nenagh from 9.00am to 1.15pm. If you need to learn how social media sites such as Facebook and Twitter can be used to market your business this is the course for you. Case studies of best practice social media marketing will be showcased and participants will be shown how to maximise their Facebook Business page. The workshop will also cover setting up a Twitter account and the basics of Twitter usage. 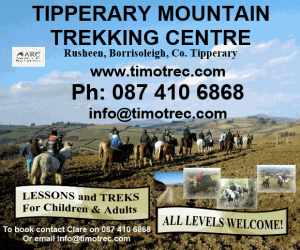 Participants must have a Facebook account and a booking fee of €20.00 applies. 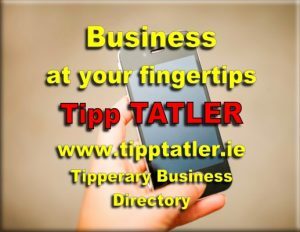 For further information on any of the North Tipperary events contact the Tipperary North County Enterprise Board, Connolly Street, Nenagh, tel. 067 33086, e-mail info@tnceb.ie or book a place on-line at www.tnceb.ie/training.htm. County and City Enterprise Boards are funded by the Irish Government and by the European Union.